Phytophthora hydropathica has been commonly reported from riparian sites in southeastern USA, on watersheds and nursery sites in Tennessee (Hulvey et al., 2010) and in nursery irrigation reservoirs in Virginia (Hong et al., 2010). Recently it was also recovered from soil associated with Viburnum tinus in Italy (Vitale et al., 2014). P. hydropathica causes leaf necrosis and shoot blight on Rhododendron catawbiense, collar rot on Kalmia latifolia (Hong et al., 2010), and has been associated with wilting and shoot dieback on V. tinus (Vitale et al., 2014). In spring 2011, a survey of common alder and waterways was conducted to determine the Phytophthora species associated with alder decline in riparian woodlands in Galicia (northwest Spain). Alder stands showed yellowish and small leaves, tarry spots on the stem and eventually mortality of trees. P. alni subsp. alni and subsp. uniformis were recovered from bark and root tissue (Pintos et al., 2012). Another Phytophthora species was consistently recovered from the waters of the Arnoia and Avia rivers. Water samples were baited with carnation petals. Cultures were grown on V8 agar, carrot-agar and potato dextrose agar (PDA). The plates were incubated in the dark at 23°C. The colony pattern on PDA was petaloid. Growth occurred from 6 to 39°C, with an optimum at 30°C. Chlamydospores were terminal and 37.1 µm in diameter. Obovate hyphal swellings were present. Sexual structures were not observed. Nonpapillate, noncaducous spherical to ovoid sporangia, measuring 52.0 x 33.70 µm were produced in non-sterile soil extract solution. Nesting and internal proliferation occurred. The morphological characteristics observed match those described for Phytophthora hydropathica (Hong et al., 2010). DNA from Phytophthora isolates was extracted. Two nuclear DNA regions, the ITS (DC6-ITS6/ITS4) and β- tubulin gene (TUBUF2/TUBUF1), were amplified. DNA sequences showed 99% to 100% homology with multiple P. hydropathica isolates in GenBank (Hong et al., 2010; Hulvey et al., 2010). DNA sequences were deposited in GenBank (Accession Nos. JX258850 and JX258851). Pathogenicity was confirmed by inoculating one representative isolate of P. hydropathica, on five three-year-old A. glutinosa seedlings growing in pots. A colonised 5 mm mycelial plug, removed from the margin of an actively growing colony, was inserted in a shallow wound made at the collar level, and sealed with plastic paraffin film. Ten detached A. glutinosa leaves (wounded and non-wounded) were also inoculated. Colonised agar plugs were placed on the leaves. Five control plants received only non-colonised agar plugs. Detached leaves and seedlings were maintained at 24°C and 95% humidity for six days and one month, respectively. Foliar lesions on wounded leaves, and stem necrosis on inoculated A. glutinosa seedlings progressing from the wound, were observed. P. hydropathica was reisolated from inoculated alder seedlings and wounded leaves but not from the controls. To our knowledge, this is the first report of Phytophthora hydropathica in Spain and the first time that its pathogenicity has been evaluated on A. glutinosa. 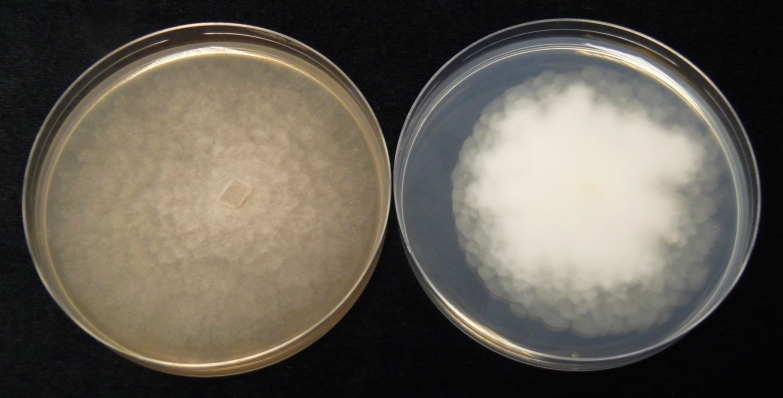 Figure 1: Colonies of Phytophthora hydropathica on V8 (left) and potato dextrose (right) agar. Figure 2: Morphological characters of Phytophthora hydropathica: (a) sporangial nesting and (b) obovate hyphal swellings. 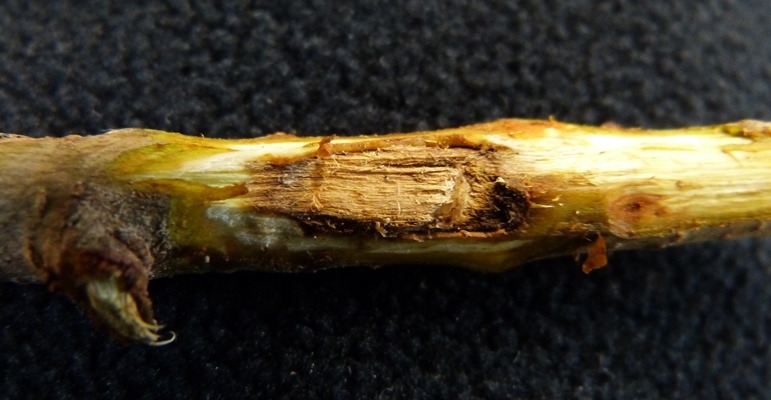 Figure 3: Stem lesion on Alnus glutinosa one month after inoculation with Phytophthora hydropathica. Figure 4: Foliar lesion on wounded leaves of Alnus glutinosa inoculated with (a) Phytophthora hydropathica compared with (b) healthy control leaves. The authors would like to thank Ms Ana Garcia, Mr Bernabé Peón and Ms Raquel Romero for their excellent technical assistance.